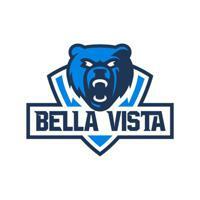 Bella Vista Prep is entering their second season as a program, and the Bears will have a ton of talent in the encore season. They found success in year one behind junior star Terry Armstrong Jr. Now a senior, Armstrong is back to lead the Bears, who will be gifted by the addition of a huge transfer in Addison Patterson. Bella Vista should do damage on The Grind Session on top of a national schedule that ranks up there with the best of them. Head coach Kyle Weaver is excited about his bunch, who start the season neck and neck with Hillcrest Prep as the top team in Arizona. Armstrong is back in the fold for Bella Vista, and the 6-foot-7 swingman is one of the best scorers in the 2019 class. The Detroit native averaged 20.4 points per game for the Nike Phamily in 12 NIKE EYBL games this past spring, good for top ten in the league’s regular season. 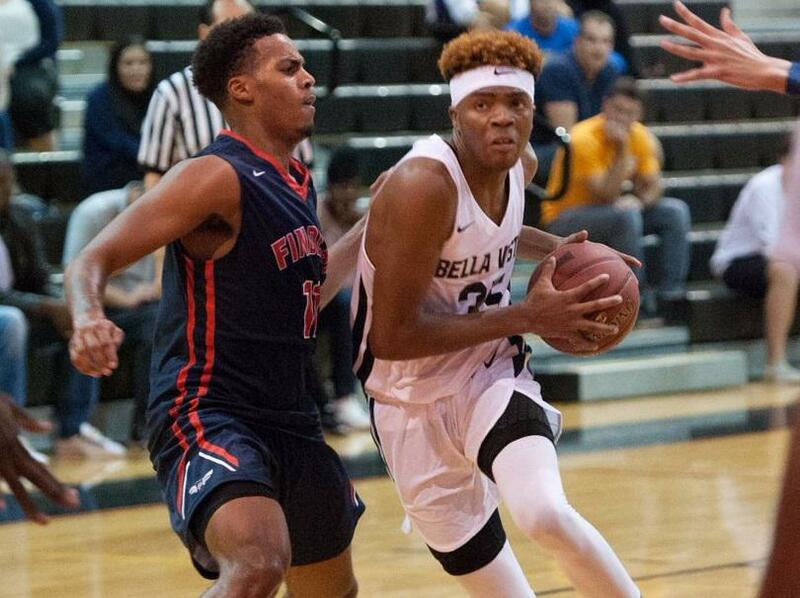 Armstrong, recently committed to head coach Sean Miller and Arizona, offers a versatile offensive skill set with tons of potential, but he’ll need to work his way into becoming a difference maker on the other end of the floor. Defensive improvements aside, Armstrong is an elite offensive weapon that fits Bella Vista’s uptempo style to play. It would be a mistake to not include their star transfer in this section, Canadian junior Addison Patterson. The 6-foot-7 shooting guard is an offensive dynamo just like Armstrong, and also put up major numbers in the EYBL, averaging 20.6 points in 16 games for CIA Bounce of Toronto. Patterson is a smooth operator in the mold of a mini Paul George, and the EYBL Underclassman selection is capable of beating you off the bounce and from the perimeter. These two are going to be a nightmare for defenses all season long, and their combination is the main reason Bella Vista is in the national rankings. Seniors Nicolas Elame and Emmanuel Tshimanga will play a boatload of minutes alongside Patterson and Armstrong. The 6-foot-11 Tshimanga was a top ten rebounder for Billups Elite in the Adidas Gauntlet, and he also operated as one of the best interior defenders. Elame, a 6-foot-4 combo guard hailing from France, is a 6-foot-3 athletic prospect with elite defensive skills. Elame is currently accumulating offers, and is going to be a major factor in Bella Vista’s attacking style of play. 6-foot-11 big man Jimmy Bell returns to the fray, and the 6-foot-11 senior continues to be in the best shape of his life. He’ll be a defensive stopper inside for the Bears, as will 7-foot-1 senior Rick Issanza, who has high major offers from Baylor and TCU. Issanza played well for Team Billups on the Adidas circuit and should be a force down low. 6-foot-4 guards Brandyn Talbot (junior) and Eman Sertovic (Senior) will play significant minutes, while 6-foot-6 junior point guard Dayton Holmen has some major potential. Keep an eye on 6-foot-3 combo guard Tyrek Chambers. The New York-bred senior is skilled offensively and excels in transition. Bella Vista has 13 players on their roster, and nine of them are seniors. That bodes very well for their chances in 2018-19, and we expect them to win a lot of games. They’ll be at several high profile events, and it wouldn’t be shocking to see them go on a nice winning streak to open the season. Armstrong and Patterson are as good of scoring duo as any set of guards in the country, and no matter who else starts alongside them, they will have one of the biggest rotations in America. They should be much improved from last year, and may turn out to be something special. They face Findlay on November 9th, and the winner will certainly get a nudge up in the rankings.